Hey girl – thinking of learning kitesurfing? Read and stop thinking! 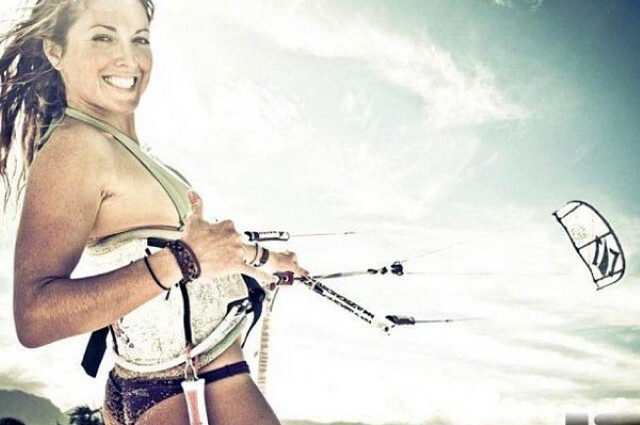 Kiteboarding is a male dominated sport. According to research that 90% of kite boarders are male. It’s always a pleasant surprise when a female kiter shows up. I think it’s time that we change that, don’t you think? Ladies let’s go! We all know that swimming is the best cardiovascular exercise there is and when you combine it with an extreme sport like kitesurfing, what more can you ask for? Not to mention all the fun you’re gonna have while doing it! Since it’s a full time work out, you can practically eat anything you want as long as you do it at least three times a week, of course it’s also good to maintain a healthy lifestyle but now you won’t have to starve yourself to death to get the body you want. During stressful times, have you ever tried to imagine yourself being on the beach and then a sudden sense of calm washes over you, that’s what it’s all about! Being at one with the sea where only that moment matters, nothing else. 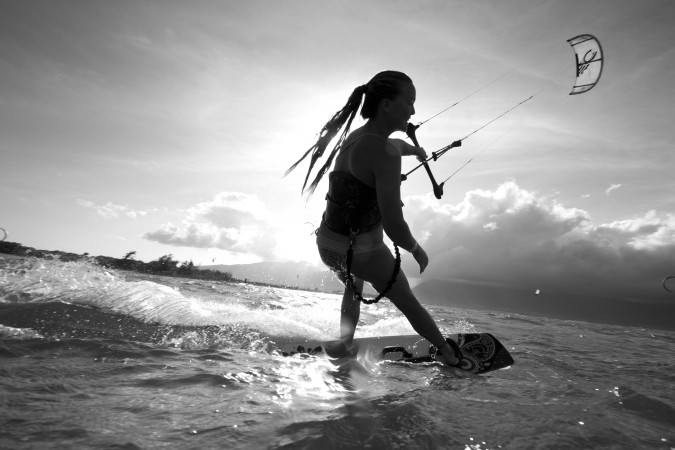 Kitesurfing gives you a sense of calm and happiness. Speaking of happiness, it’s always good to surround yourself with happy people, the ones who are legitimately content. What’s better than going to the beach and kiting? doing all that while you’re smoking hot! It’s not just the outer appearance though, we all know that when you look good, you feel good. And when you feel good, you attract people because of the positive vibes you send out. It doesn’t matter what age you are, you can kite. Don’t be afraid to try new things and with kiting, it’s more about safety and technique than raw strength. Look for a good kite school, and you’ll never look back. It also never gets boring, what better way to spend your free time than on the beach, living the island life and kiting? The first time I ever saw someone kite which was on video I was like “yeah this is pretty cool” BUT when it came to the point where the guy in the video did the jumps: “damn, he can fly”.